Chicago continues to be a popular travel destination due to the big city feel, landmark skyscrapers, eclectic art scene, and of course, the food. 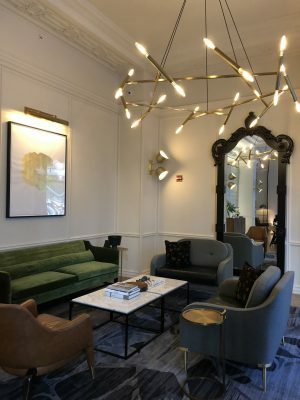 Chicago has everything that you would want in a weekend getaway or a week-long retreat.The best way to enjoy Chicago is to take advantage of the growing trend of historic buildings being converted into boutique hotels. 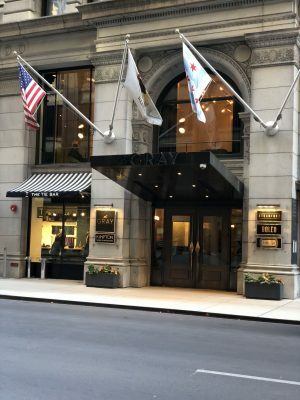 If you travel to Chicago, you have to stay in one of Chicago’s most famed landmarks – the former New York Life Building, now The Kimpton Gray Hotel. 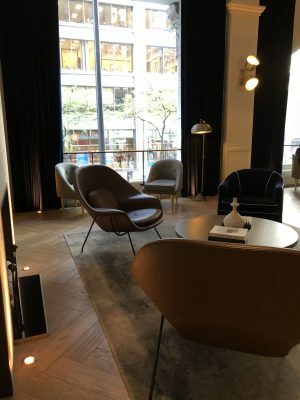 As The Loop’s newest four diamond hotel, The Kimpton Gray combines upscale luxury with a modern and sophisticated style, and let me tell you, no detail has been overlooked! 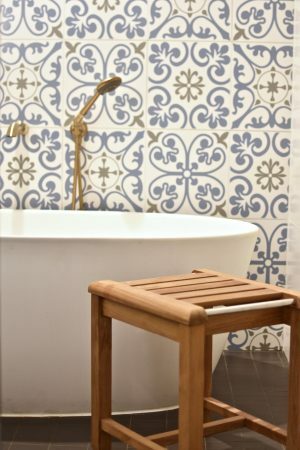 From the moment we arrived, we found the wow factor equally as pleasant as the service. 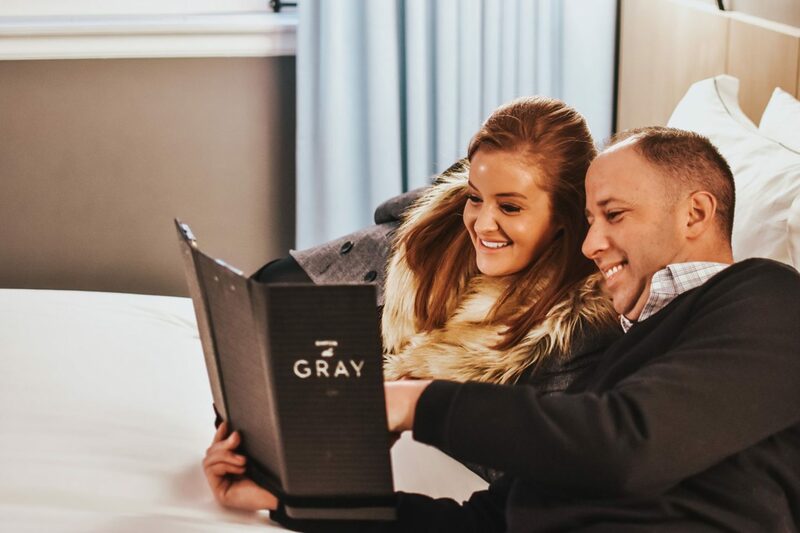 The level of service at Kimpton hotels is unmatched, and The Gray was no different. 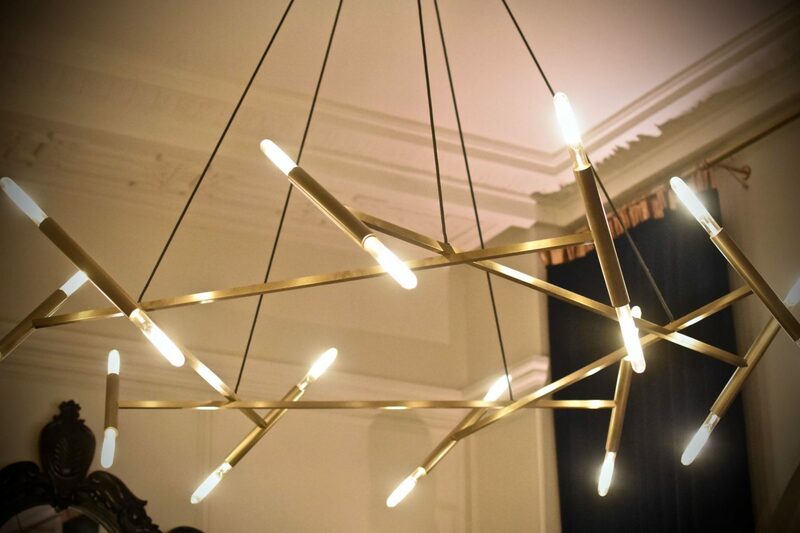 Every square inch of the building, inside and out, is curated for an exceptional experience. 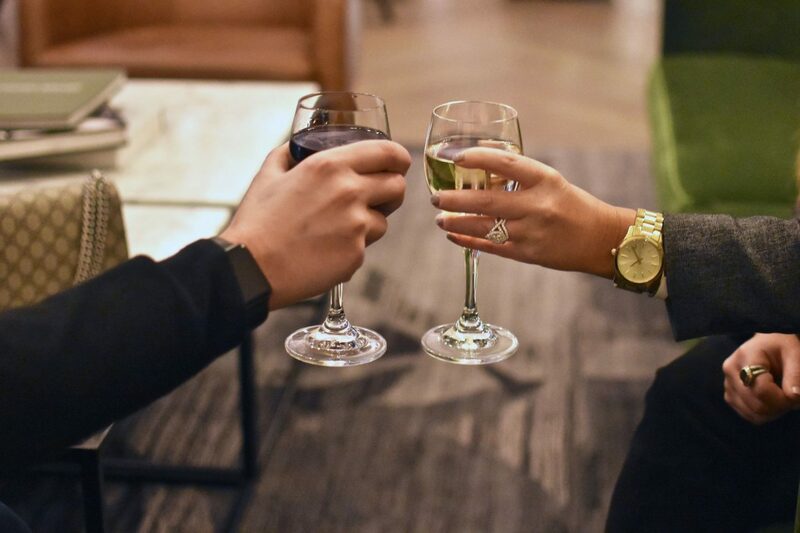 Immediately following check-in was a complimentary happy hour with different wines to choose from. 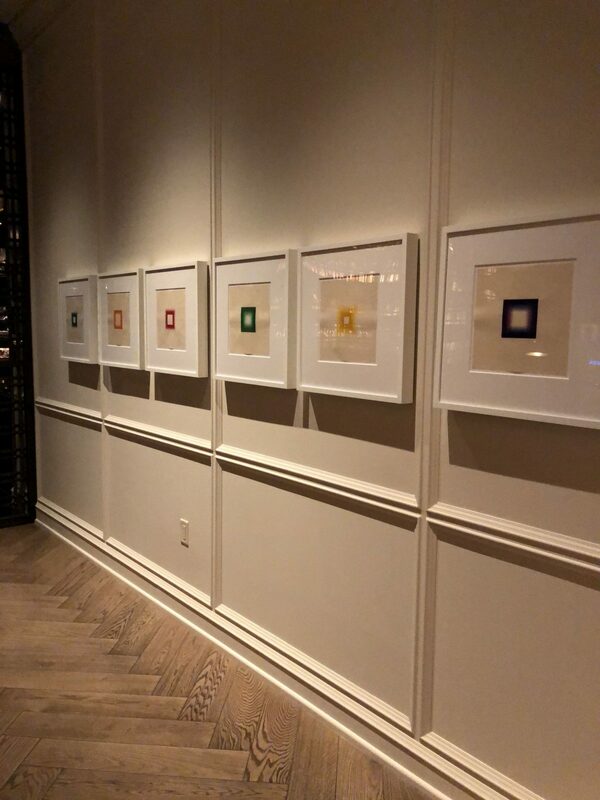 We enjoyed some excellent wine while taking in the art and details around the hotel from the days past of a bustling Chicago office building. 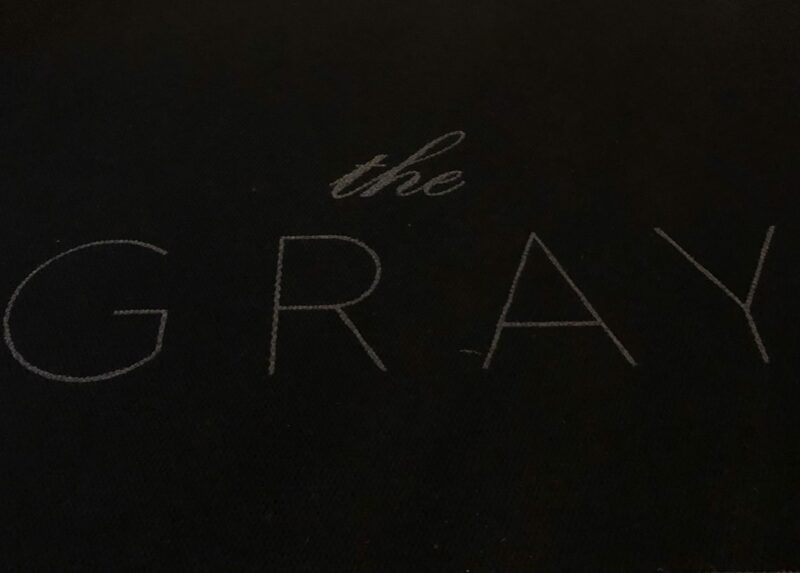 The Gray has three restaurants, and you have to experience all three! Vol. 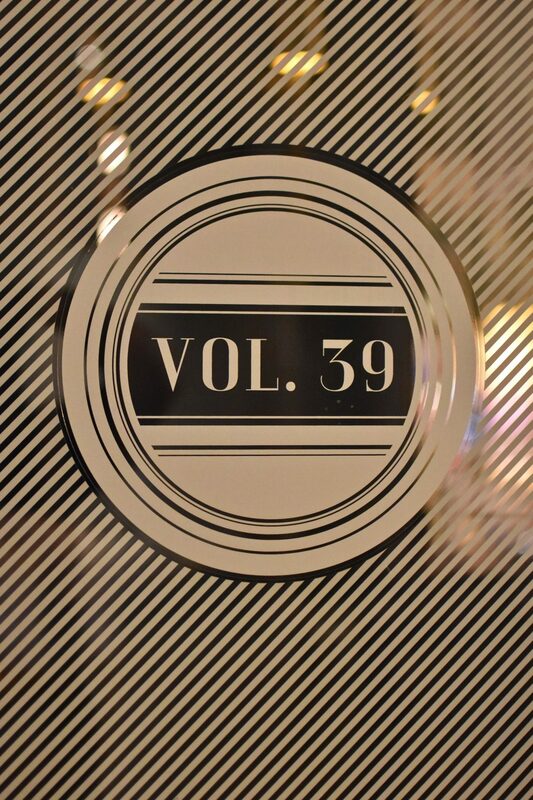 39 is a cocktail bar and lounge that takes you directly to mid-century Chicago. 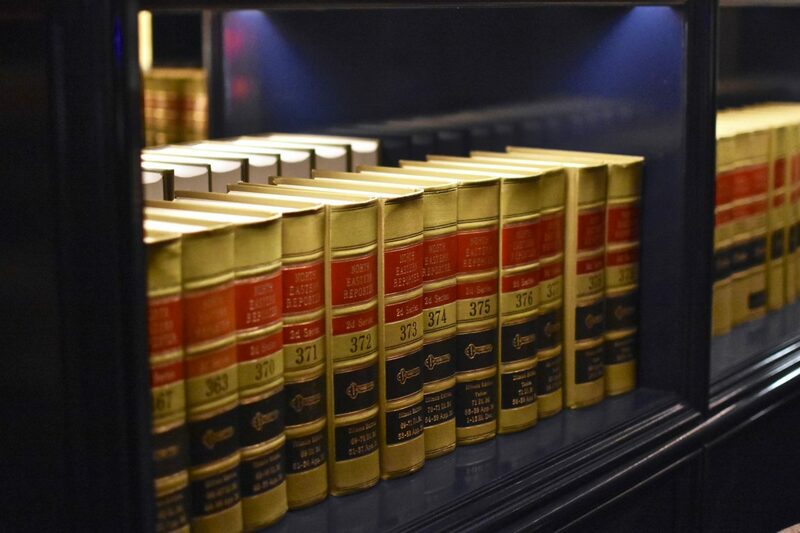 Completely preserved is a full law library from a law office that once occupied the famed building. 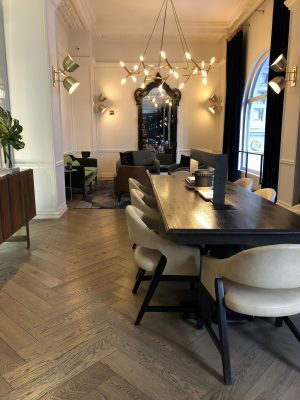 Enjoy small plates and hand-crafted cocktails as you listen to live music and take in views of Monroe Street at Vol. 39. Boleo, The Gray’s rooftop lounge, and bar were closed for a private event while we were there but after the complimentary wine and indulging at Vol. 39; we settled into our spa suite. Every detail leading up to the suites built up the anticipation of seeing our room. 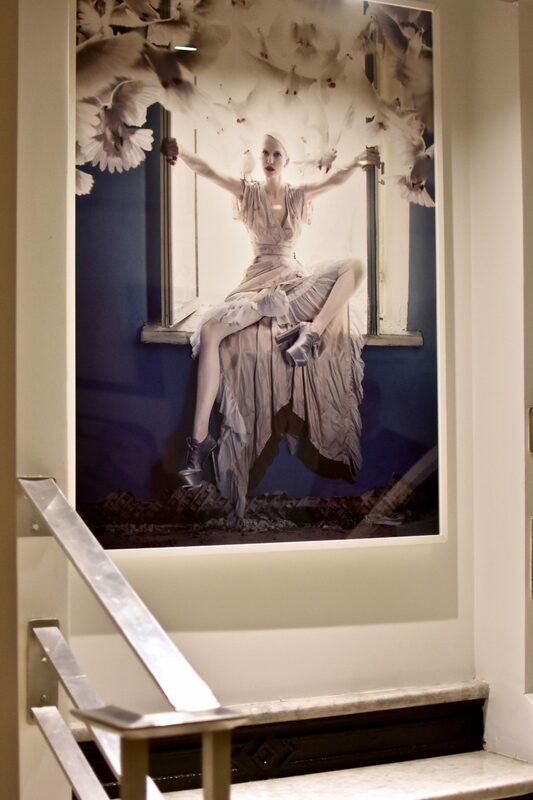 The art in the hallways, the classic Chicago Elevator Co. design of the elevators, to the marble floors, we knew our suite would be a dreamy oasis to relax. We went in with high expectations, and we were blown away. 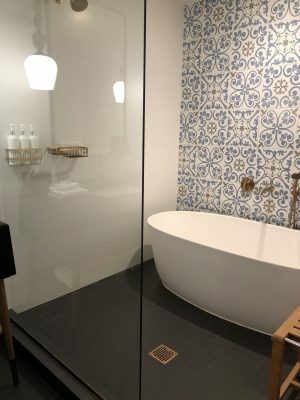 Every detail of the room, from the soaking tub and spa shower to the modern and sophisticated décor, we felt like we were enjoying Chicago like the Wrigley’s and Rosenwald’s did in years past. 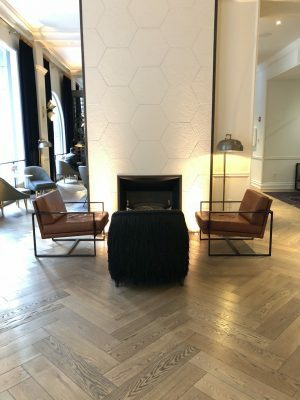 The Kimpton Gray is one of the best locations in Chicago, hands down. Located in the Loop, The Gray is a quick walk to Chicago’s most notable skyscrapers and attractions. Michigan Avenue is a few blocks away, and so is Willis Tower. West Loop is immediately to the west, and this area features rows of chic eateries, bars, and boutique shopping. 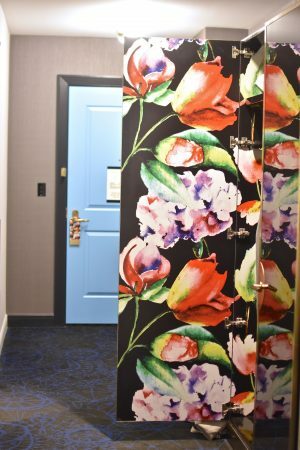 We couldn’t get enough of the Chicago flavor and even had Lou Malnati’s famous Chicago pizza delivered to The Gray one night – super convenient and helpful staff made sure our pizza got up to our room quickly! 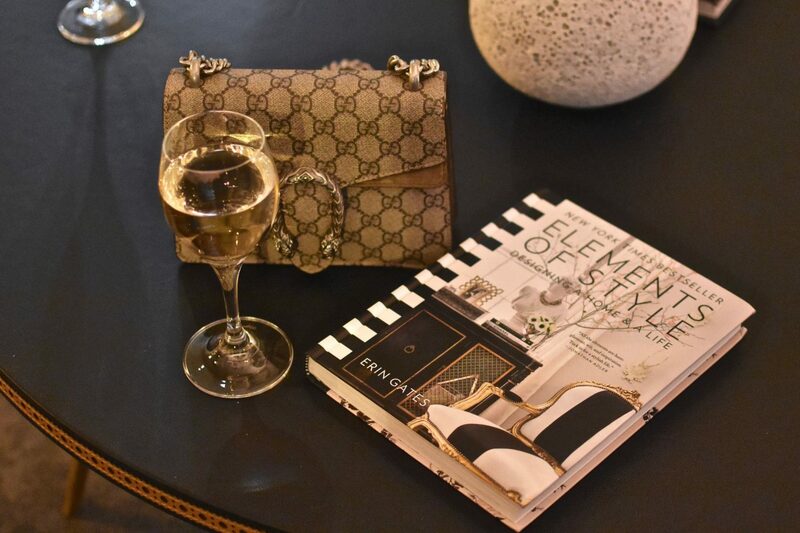 The Kimpton Gray is definitely a place that will indulge all of your senses – it’s a unique, one of a kind, upscale experience. 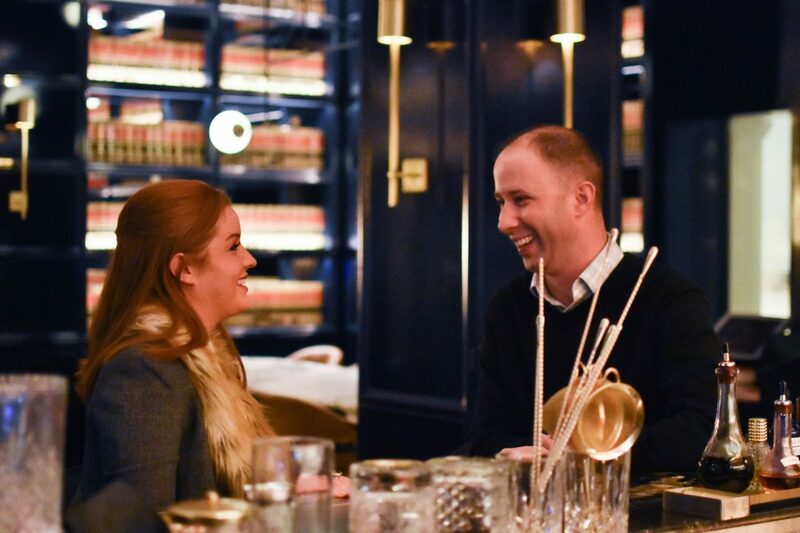 If you’re looking for more than just a place to stay while visiting Chicago, and celebrating like we were look no further than The Kimpton Gray. 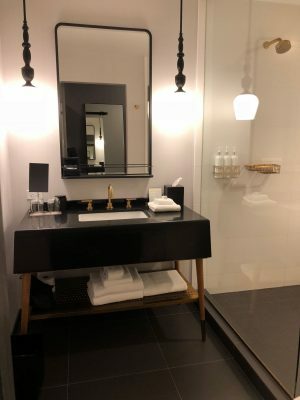 It was the perfect romantic weekend for our mini-moon!